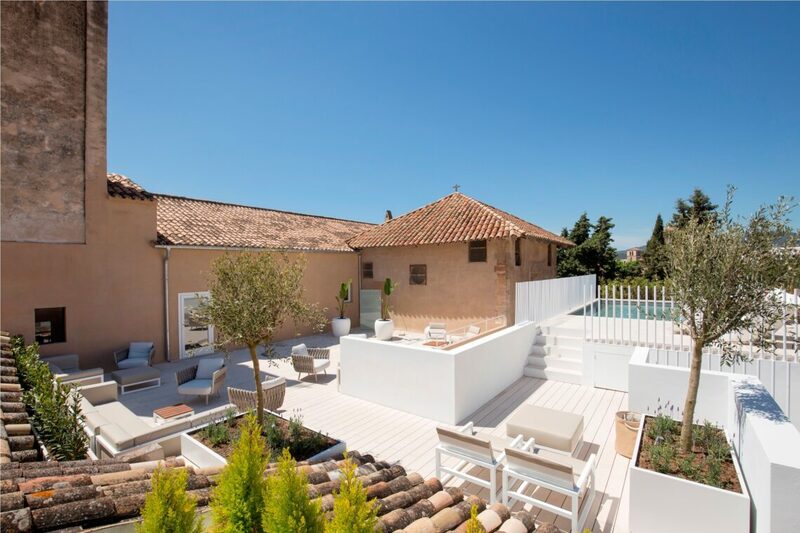 Deep in the heart of Palma’s old town, this former monastery has been transformed into an urbane and elegant 5* retreat. 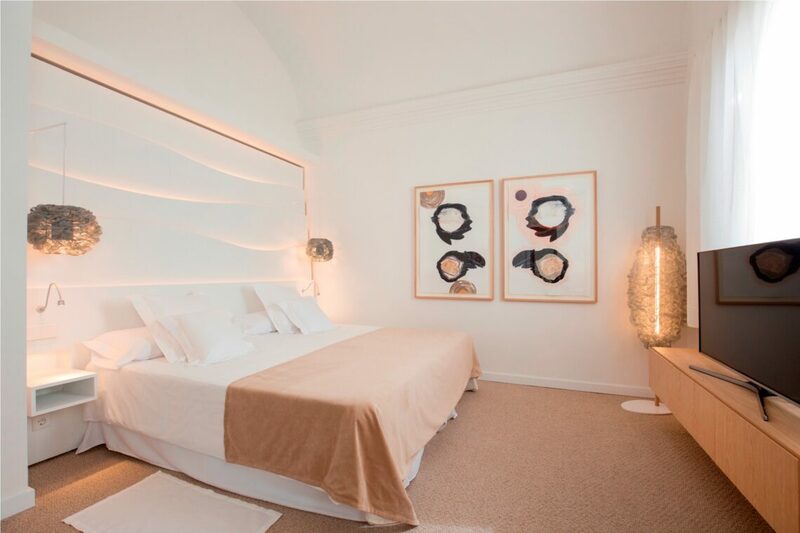 Original features and modern décor, mixed with continually changing art exhibitions, make the Convent de la Missió one of the finest hotels in the city. British chef, Marc Fosh creates elaborate Mediterranean dishes in his eponymous restaurant. Try his tasting menu for dinner, after a long, cool drink on the roof terrace – or just order room service. And keep an eye out for the priest who still comes to collect his post. 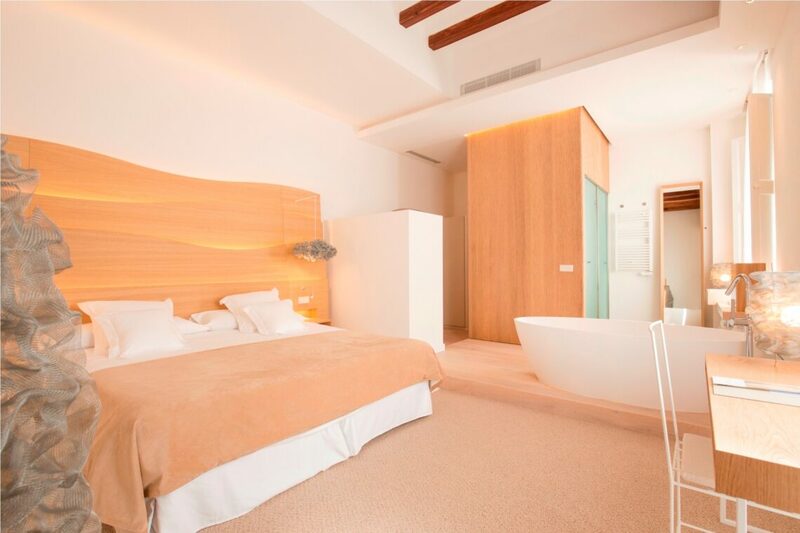 Sleek and sophisticated, relaxing and spacious, light and airy, all describe the rooms and suites here. The beds are enormous and we love the little design elements. 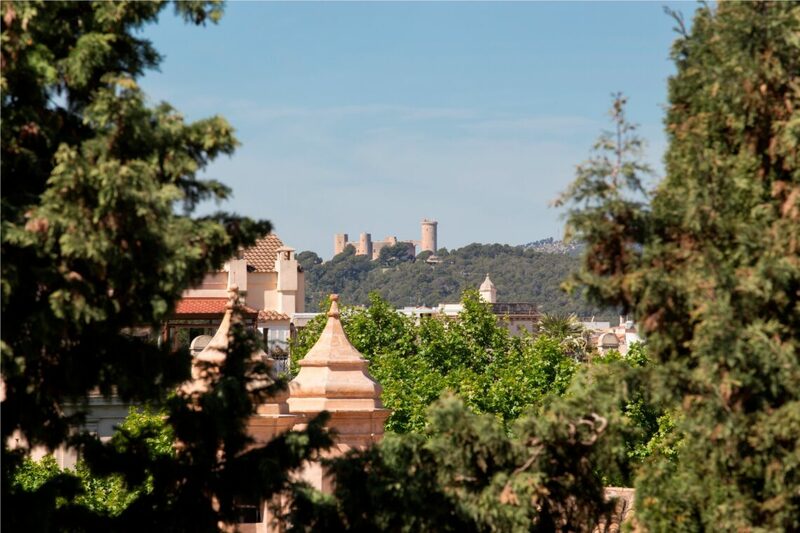 From the good sized double rooms, through to the superior doubles and junior suites – with their views of the old town – you might need to remind yourself to head out and explore the city! 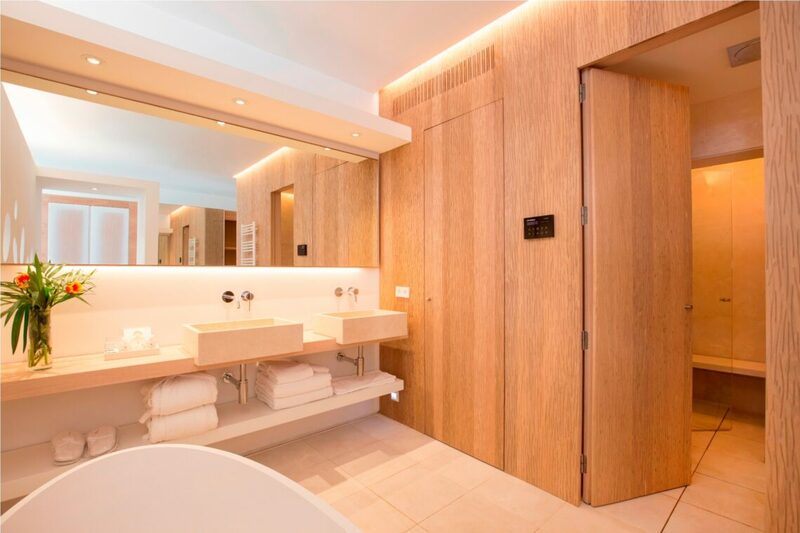 The Privilege Suite and the Luxury Suite are truly lavish, with the latter having its own terrace with Jacuzzi and giant day bed, as well as including a transfer from the airport, or your own parking spot. 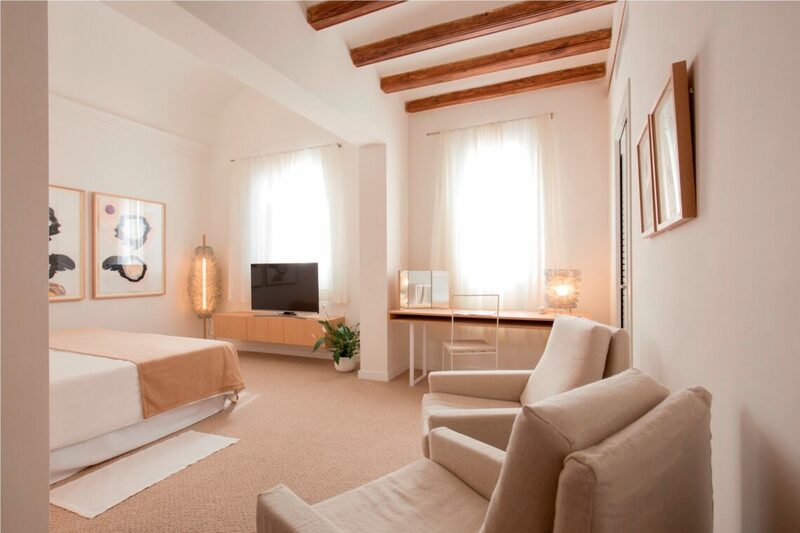 There’s air-conditioning throughout, free WiFi, a TV, minibar and safe. 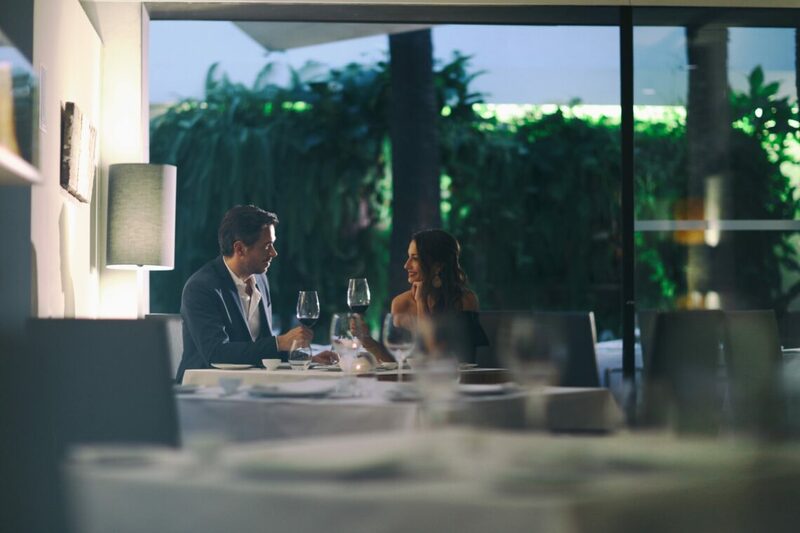 Without doubt one of the best restaurants in Palma, you’ll definitely need to make sure you have reservations to eat at Marc Fosh. This is Michelin starred cuisine, using local seasonal produce from throughout the Balearics, and the wine list is pretty impressive too. The lunch menu changes weekly, or you can choose the utterly delicious tasting menu, whilst supper is a more formal affair but still very reasonably priced. 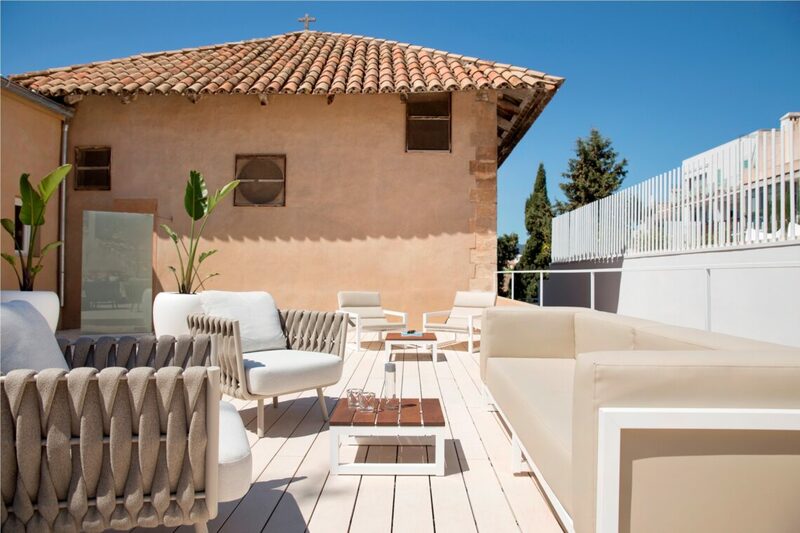 The design is super cool, and when the weather warms up, you definitely want a table on the roof terrace. We love the artworks in the bar, so make sure you relax with a drink before dinner. And if you’re too exhausted after a day’s sight seeing, just order room service from the restaurant. This is very much a grown-up hotel. Children are welcome, but there are no special facilities. 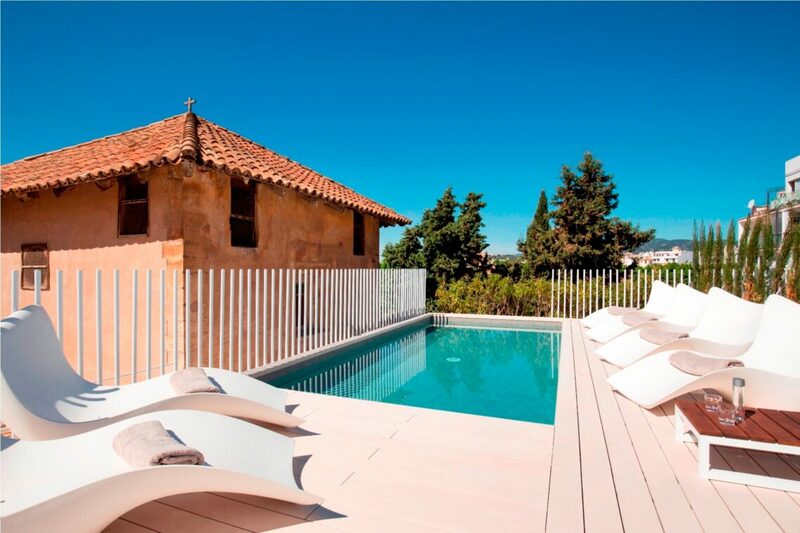 The Convent de la Missió is right in the heart of the old town of Palma, and so perfectly situated for exploring everything this city has to offer. 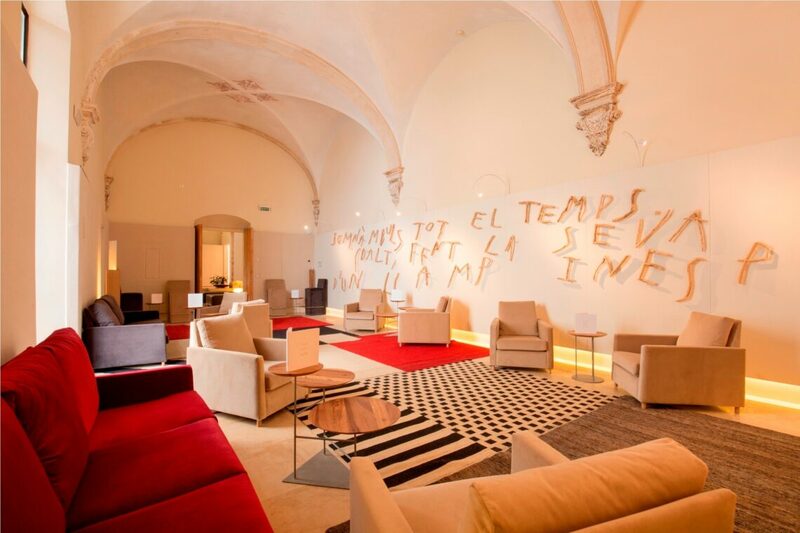 Art galleries; shopping; back street tapas bars; an evening passeo around the Cathedral – there’s a lot to cover. 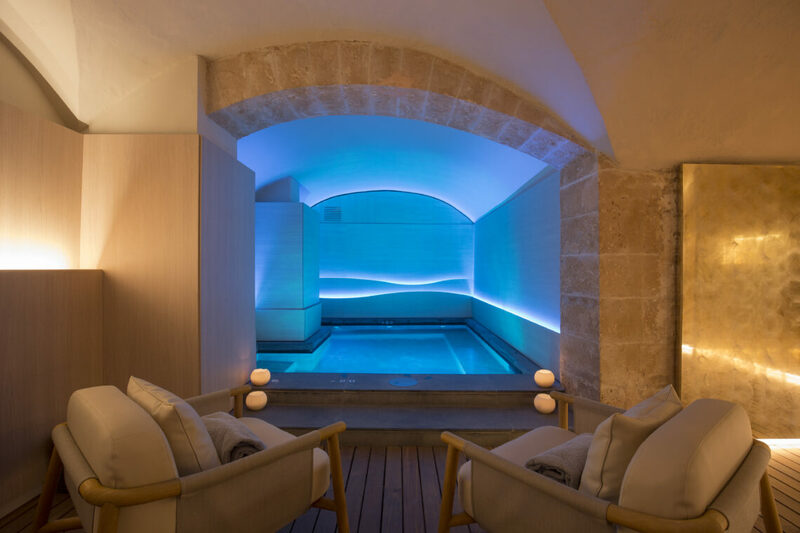 But if you’re just after a bit of rest and relaxation, then a hammock by the pool on the rooftop terrace is no better place, maybe followed by a sauna or a Spa treatment. The more active might like to use the gym!